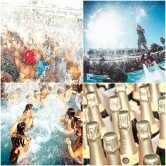 The world renowned Champagne Spray Pool Party has landed in Ayia Napa! The concept doesn’t need much introduction, when you mix sunny weather surrounded by chic turquoise swimming pools and hundreds of Champagne bottles popping, spraying and raining… Napa Spray is a day time event, where it kicks off every Saturday 6pm at WaterWorld Themed Waterpark and goes till around 10pm. 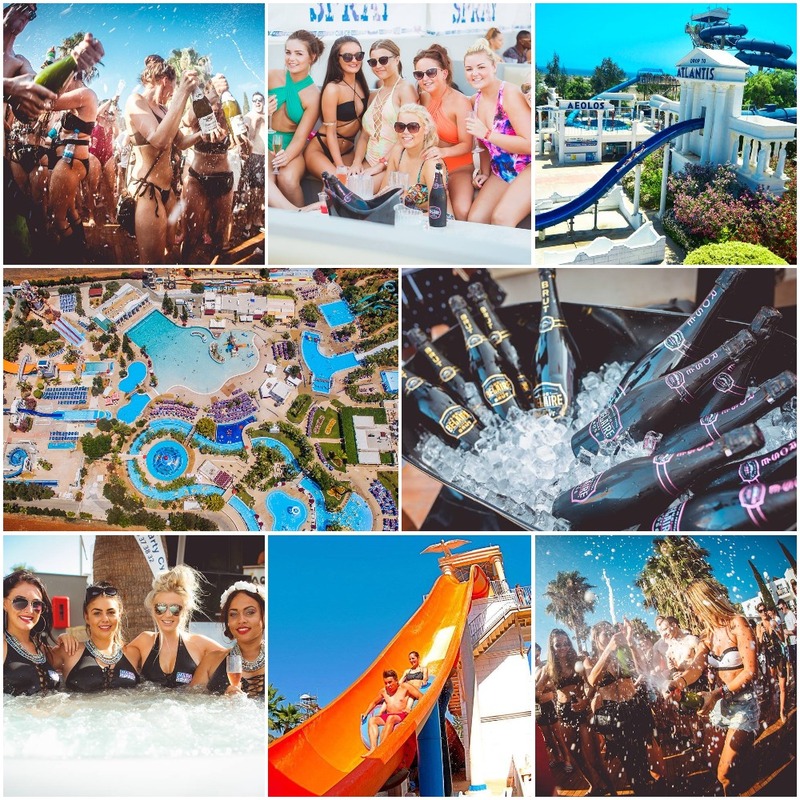 The Napa Spray ticket grants you access to WaterWorld Themed Waterpark after 3pm on Saturday to enjoys the park attractions and facilities before the pool party starts at 6pm when you get a free bottle of Champagne. To add to the fun we have VIP booths, tables service and sofa beds available as well as gourmet bites and amuse-bouches treats. Napa Spray Pool Party is defined by its great party atmosphere. The pool is the largest in Europe, featuring VIP booths, beds and tables. Electrifying beats by our world class DJs set a lively mood as you bask in the ambiance with celebs around the pool. Huge bar and our mouthwatering menus will have you and your mates have an amazing time. Great music, drink specials, giveaways, fun games and competitions. Napa Spray is definitely a must do event whilst you are in Ayia Napa and the weather forecast predicts it will be raining white and rosé this summer! Every Saturday @ WaterWorld Themed Waterpark Ayia Napa! The Pool Party starts at 6pm and goes until 10pm. All tickets include access to WaterWorld Themed Waterpark after 3pm on Saturday to enjoys the park attractions and facilities before the pool party starts at 6pm when you get a complimentary bottle of Champagne. Runs from June 2nd, until August 25th. VIP booths, beds and tables are available for your comfort and style. Book your TICKETS or VIP booths in advance as they WILL sells out.